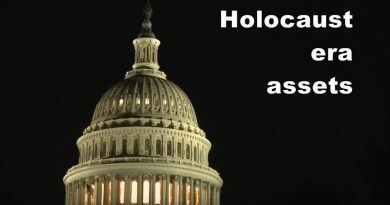 “The French were paid, the Jews were paid, many other nations were paid for the losses they suffered during World War Two. Poles were not,” Jaroslaw Kaczynski, the leader of Polish ruling Law and Justice (PiS) party, said on November 11, 2017 during the celebrations of the 99th anniversary of Poland’s independence. “It is not only about material funds. It is about our status, our honor … And this is not theater. This is our demand, a totally serious demand,” he added. Under the Nazi occupation, six million Poles, including 3 million Polish Jews, were killed. The capital, Warsaw, was razed to the ground in 1944 after a failed uprising in which 200,000 civilians died. While West Germany benefited from the Marshall Plan (an American initiative to aid Western Europe after the war) and received 1,3 billion USD between 1948 and 1952, which is 14 billions USD adjusted to current value, Poland got nothing, and as a satellite nation of the Soviet Union it had to contribute to the development of the Soviet economy after the war. “After initially refusing, in 1975 the West German government paid DM 1.3 billion to cover the Polish wartime forced labourers’ pension claims and granted a low-interest loan of DM 1 billion. But the former forced labourers did not actually profit from the settlement.” In 1991, the unified Germany made another payment of 500 million DM to a Polish “Foundation for Polish-German Reconciliation”. The foundation distributed limited funds to the victims of the Nazi German persecution. “The forced labourers received on average 683 DM compensation”, wrote the German professor Constantin Goschler in his highly informative work “Compensation in Practice”. 10 years later, another international round of negotiations brought an additional payment from Germany resulting in an overall compensation sum for Polish forced labourers of almost one billion Euros paid between 1991 and 2006 (data from the “Foundation for Polish-German Reconciliation”). In contrast to that sum, the state of Israel and Jewish organizations received from the German government on the basis of the so called Reparations Agreement (1953) all together about 100 billion USD. Poland has never been compensated for material and immaterial losses which it incurred during WWII. The Bureau of Reparations during the Presidium of the Council of Ministers estimated the total cost of material losses which Poland incurred between 1939 and 1945 to amount to 258 billion prewar Złoty, which equalled 50 billion U.S. Dollars, by 1939 exchange rate, and $850-920 billion in 2017 US dollar value . Poland’s capital city of Warsaw alone suffered damages valued at $60 billion U.S. Dollars (Wikipedia: Polish material losses during World War II). The German government maintains that Poland waived all war reparations in 1953 (1953 was the year when the Reparations Agreement between Germany and Israel took effect). In fact, there is no bilateral treaty between Poland and Germany confirming such a resignation. There are only media reports from 1950s confirming that Soviet Russia forced Poland to forego claims for compensations from East Germany. West Germany was not party to that forced resignation by Poland, however. For this reason the issue of war reparations from Germany is high on the agenda of Polish lawmakers. The parliament’s research office prepared in September 2017 an analysis of whether Poland can legally make the claim for damages suffered during World War II. The analysis concluded that Poland is entitled to financial compensation for the enormous damages and material and non-material losses caused by the German aggression, occupation, genocide and loss of independence. The Warsaw Institute Foundation, a Polish analysis and research center, carried out a review of the theses presented by the parliament’s research office and it confirmed to a great extent Poland’s right to ask Germany for wartime compensation. The Polish government hasn’t lodged, however, any official claim with the German government so far. It hasn’t also sought any support from the American officials till now. The US State Department has never been at ease with extending the groups of Nazi victims beyond Jews and supporting war compensation claims of the other countries like Poland, Greece or the claims of Namibia for racial extermination that the German Empire undertook in German South West Africa (modern-day Namibia) against the ethnic groups of Herero, Nama and San. But now the Foreign Affairs Committee of the House of Representatives is about to pass a bill (H.R. 1226), which paves the way for an unprecedented drainage of capital from Poland and other “certain foreign countries”. 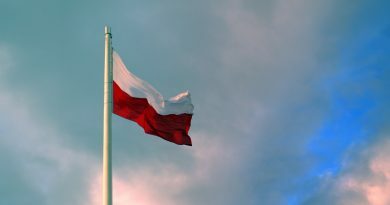 Poland, the victim of the Second World War would be victimized again. ← Why it is important to stop Act S. 447?